WappPress – Most Easy to use and Simple Wordpress Plugin to create an Android Mobile App for Wordpress site in real time. It is packed with highly useful features like Push Notifications, Admob , custom launcher icon, custom splash screen, instant App build in real time. 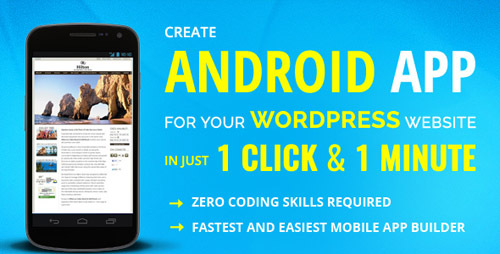 Its an excellent tool to convert Wordpress to mobile app instantly. WappPress is the best product available in the market at such an affordable cost. Thousands of people have used our product and are fully satisfied and happy with WappPress. It is very simple and easy to use, you do not need any coding skills to use it.